The feline leukemia virus, also known as FeLV, causes leukemia and other types of cancers. The Cornell University College of Veterinary Medicine states that it affects up to three percent of the feline population, with kittens acquiring it far more often than adult cats. That is because it requires a bite from an infected cat or prolonged contact for older cats to become infected. Kittens can pick up the virus from their mother during her pregnancy or while they are nursing. Infected cats have large amounts of the FeLV virus in their saliva and can spread it to other cats through mutual grooming. Other common methods of transmission include shared food and water bowls, contact with urine or feces, bites, and nose-to-nose contact. FeLV is most common in kittens because it can be transmitted through the placenta of an infected mother cat and passed along to her offspring. The kittens may also pick up the virus when nursing. After exposure to a potential risk. With good management by owners, cats with FeLV can live for many years. They should be kept indoors for their own protection as well as that of other cats. 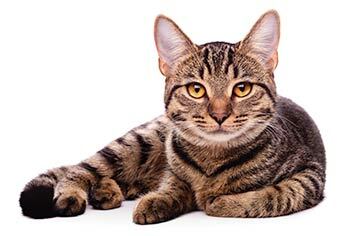 If you suspect that your cat has contracted this virus, please contact Newport Center Animal Hospital in Newport Beach, CA, at (949) 644-5460 to schedule an appointment for testing. We are also available to help you manage the condition if your cat has already tested positive.